Parents Just Don’t Understand featuring musical superstar and TV personality, Joey Fatone (‘N Sync, “Rewrapped”). In the spirit of “Freaky Friday,” the unique reality series gives real kids and their parents a chance to find out what it feels like to be in the other person’s shoes. In the premiere episode, “The Touchdown Maker and Cupcake Baker,” Fatone swaps the lives of a 13-year-old and his under appreciated mom of five children. While the son tackles taking care of his siblings and a demanding job at the railroad, his mom must power through chores and football practice. The series will also showcase other parent-child swaps including a teenage ballerina and her feisty single-mom, a roller derby devotee and her princess-loving mom, plus a single-dad who takes on his son’s rigorous athletic schedule. Just like the Will Smith song from back in the day, parents just don't understand BUT neither do kids. This show is in the same vein as Wife Swap where kids get to switch place with their parents for the day. Hosted by Joey Fatone, Parents Just Don't Understand starts with a child reaching out, Joey showing up at the house and the kid explaining to the mom why they contacted Joey! It is edited and pieced together with Joey speaking with the kid and parent and then the kid or parent talking to the camera. While it seems overly edited and rehearsed Joey arriving, the kid answering the door, the parents always being home, the house is clean, yada, yada, yada. Joey then shows the video to the family while the parent asks why? After that they sit down with Joey and they go over their chores for the day. Presto chango Joey hands them each a clip board with their new chores and start the day as each other. I loved watching the parents beg for the breakfast they want and the siblings begging for what they want to. It was interesting to see how the parents and kids dealt with what was thrown at them throughout the day. Even a mom who had to do football practice. GO Girl. That rocked. In the end of course everyone sees the others side and they change how they do things hopefully making their lives better forever. 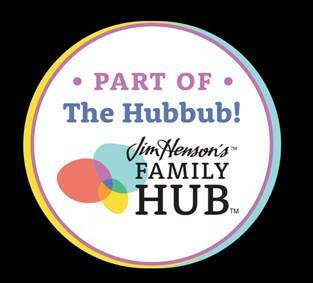 What a wonderful family show to add to the Hub Network's already awesome portfolio.